You’re having a bad day, spending time on social media and staying home instead of lifting weights and speeding through MetCons at the box? 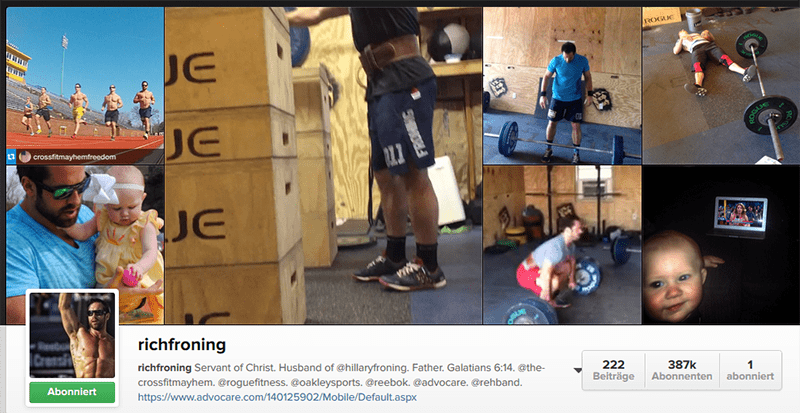 So for those rainy days, take some time off and hang around Instagram: make sure you check out these inspiring feeds from athletes we think deserve to get a spot on our “Most inspiring list”. Just keep in mind that Crossfitters don’t quit; we just take a break, some time to slow down to build new strengths and come back stronger. 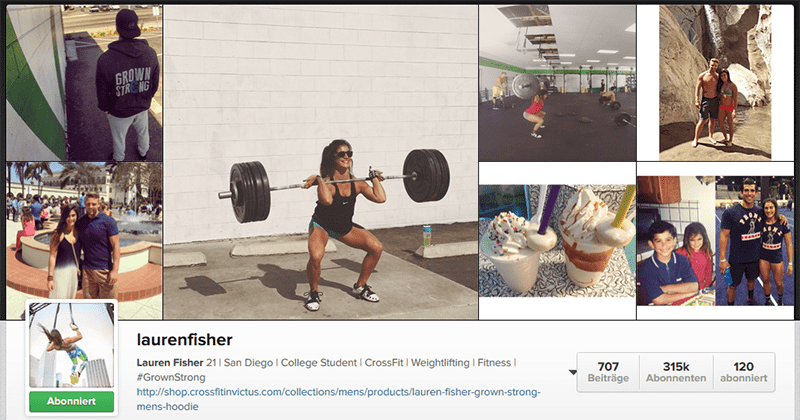 Related: Instagram, a Crossfitting Friend or Foe? 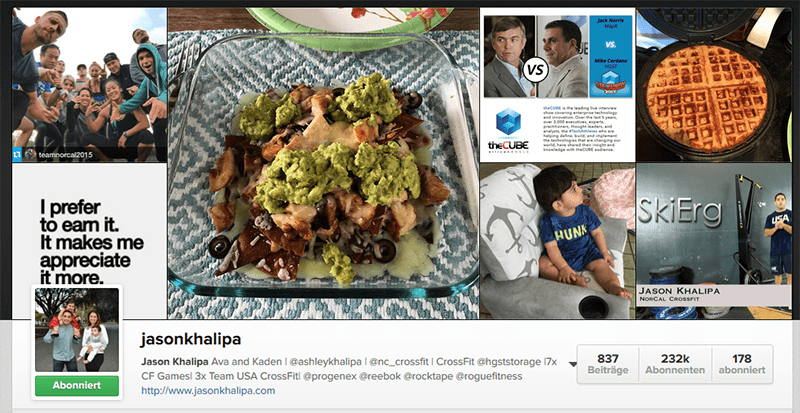 Fittest on Earth and 2013 Crossfit Games champion Sam Briggs is, especially this year, one of the most inspiring Crossfit athletes on Instagram. Coming back after last year’s 4th place at the Regionals, her feed marks the Road to 2015 which already had some twists due to the back injury. Anyway, Sam still climbed up and won 15.3 Open workout, Three Queens 15.5 live announcement in Vegas and earned her spot for the Atlantic Regional. Giving up is just not an option here. After three consecutive years of Rich Froning‘s Open dominance, Mat Fraser is the guy who broke the dynasty. He came 2nd at the Games last year, but won the Open in 2015. 315k followers and counting, Lauren is not just a big name in the industry, she’s a role model to girls growing strong all over the world. This season we bet on her skills and attitude to lead her all the way to the Games podium. Not just a 2009 CrossFit Games champion, also a badass firefighter. Scroll through Mikko’s Instagram, look for ice cold water diving and you’ll be fired up to push your limits further. And experience some adrenaline also. When it comes to tough CrossFit Games competitors, Deborah is the first name that should pop up. She qualified and competed at the Games twice despite having lymphedema, condition of localized fluid retention and tissue swelling caused by a compromised lymphatic system. Deborah also won the Spirit of the Games award in 2012, after conquering her fear of ocean swim at the Games. A list of inspiring people without Rich on it? Nope. We covered Stu’s story in Blind Athlete Stu Young: I Want To Do Weightlifting. 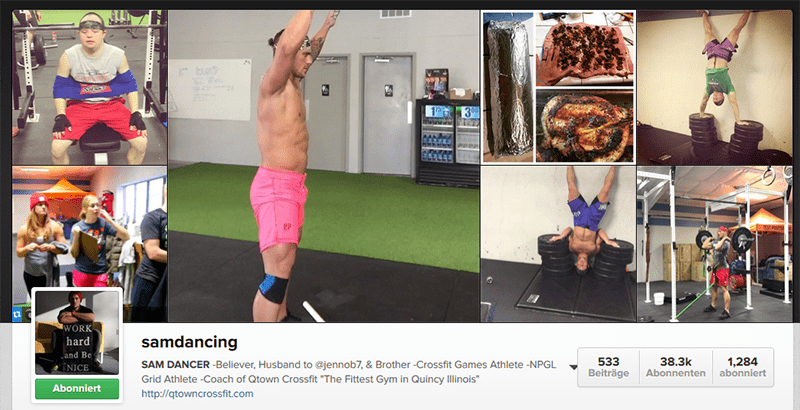 He doesn’t have an Instagram, but his coach Jaime shares his lifts on Crossfit Exe’s feed. Krystal lost her arm in a car crash, but kept her spirit. 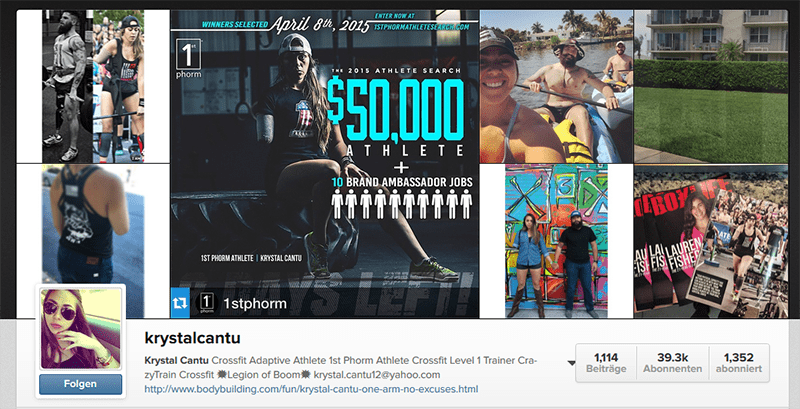 Today she is a Crossfit athete and level 1 coach. Do you know that Sara‘s first Regionals in 2013 ended up with DNF (did not finish)? This year she’s the hottest contender to win the rookie’s crown at the Games and a huge threat to all other more experienced athletes striving for the top places at Carson. Kara showed her strength in 2014, while leading the Games leaderboard for a solid amount of time. She later stepped down due to injury, but is now coming back with a full force: 15.5 workout in 6:36? Really? We’ll see this strong Aussie taking back what she deserves: the crown! 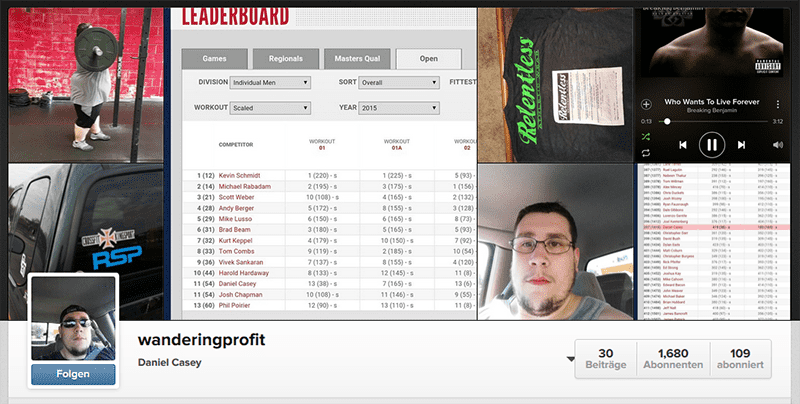 A father, a business man, a company owner and a multi-time Games podium competitor! Watch and learn. Last year we heard about the accident, this year despite being paralyzed from the waist down, we’re seeing Kevin doing handstand push ups and muscle ups. Ogar strong. Many times great stories stay hidden as most of the Crossfitters are still ordinary, every day people not highlighted by the media. Like Daniel Casey. For us he is an athlete that deserves a solid spot on this list. Doctors told Lindy she’ll never ever squat again. But then she qualified and competed at the 2013 CrossFit Games. In 2014 she missed out on the top spots, or as we like to say stepped back so she can now move forward. 2015 is waiting. Who would you add to the list? Comment below.